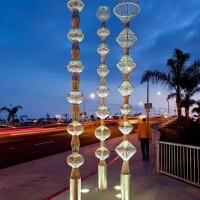 Artist Cliff Garten has installed his latest work “Sea Spires” in Long Beach, California. 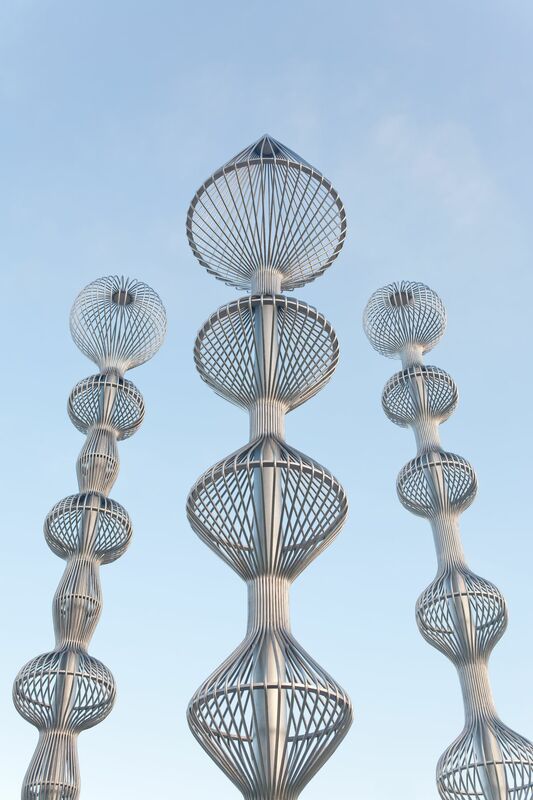 Sea Spires, by celebrated artist Cliff Garten, has been installed across from the Long Beach Harbor at the corner of East 2nd Street and East Marina Drive. 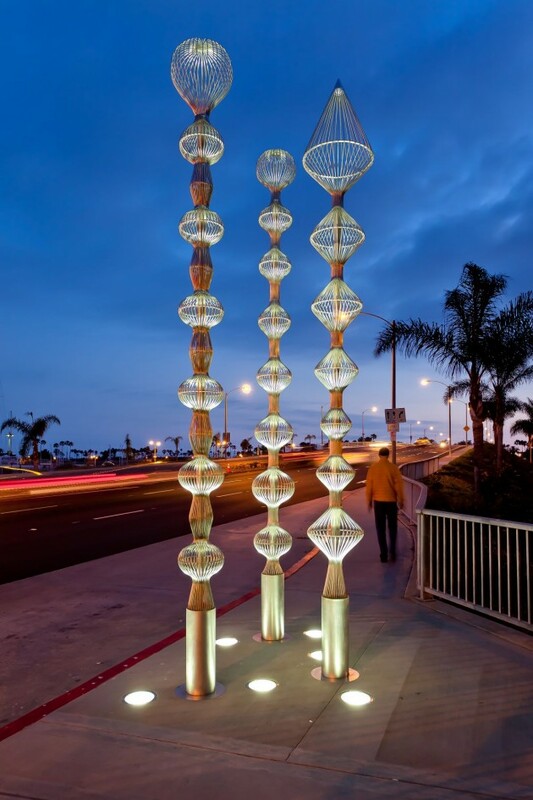 Commissioned by Long Beach Transit, in collaboration with the Arts Council for Long Beach, the iconic transit marker encourages pedestrians, drivers, and transit riders alike to reflect upon the power of art to enhance urban communities. With an elegant profile measuring sixteen feet tall, Sea Spires is totemic and guardian-like, yet composed of distinctive curves intentionally reminiscent of sea life. The sculpture inspires a sense of movement along the East 2nd Street corridor and activates the transit stop’s existing bus shelter. The sculpture’s stainless steel surfaces play with reflection and refraction of natural light during the day; while from a distance and at night, the elements glow in harmonious uniformity. According to Leslie Markle, Director of Public Art and Design for Arts Council for Long Beach, “The relationship between art and transit, redevelopment and cultural planning is an important one in Long Beach. 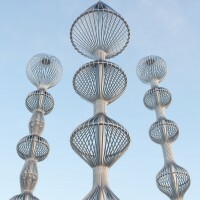 Sea Spires appealed to that need and direction for the City.” Sea Spires provides a distinctive entrance marker along the city’s eastern edge while simultaneously providing art in the streets as a means of encouraging local transit ridership. Visit Cliff Garten’s website – here.